eTables -Download PDF (40 KB). This file requires Adobe Reader®. Background Despite increased demand for disclosure of physician and researcher financial ties (FTs) to industry, little is known about patients’, research participants’, or journal readers' attitudes toward FTs. Methods We systematically reviewed original, quantitative studies of patients’, research participants’, or journal readers' views about FTs to pharmaceutical and medical device companies. The MEDLINE, Scopus, and Web of Knowledge databases were searched for English-language studies containing original, quantitative data on attitudes toward FTs. We screened 6561 citations and retrieved 244 potentially eligible abstracts. Of these, 20 met inclusion criteria. Results Eleven studies assessed FTs and perceptions of quality. In clinical care, patients believed FTs decreased the quality and increased the cost of care. In research, FTs affected perceptions of study quality. In 2 studies, readers' perceptions of journal article quality decreased after disclosure of FTs. Eight studies assessed the acceptability of FTs. Patients were more likely to view personal gifts to physicians as unacceptable, compared with professional gifts. In 6 of the 10 studies that assessed the importance of disclosure, most patients and research participants believed FTs should be disclosed; in the other 4, approximately one-quarter believed FTs should be disclosed. Among the 7 studies assessing willingness to participate in research, approximately one-quarter of participants reported less willingness after disclosure of FTs. Conclusions Patients believe that FTs influence professional behavior and should be disclosed. Patients, physicians, and research participants believe FTs decrease the quality of research evidence, and, for some, knowledge of FTs would affect willingness to participate in research. Despite the momentum toward increased disclosure through public reporting, the likely effect on decision-making is unclear. Two systematic reviews have looked at attitudes toward FTs, one from the point of view of physicians and another from the perspective of researchers.3,33 These reviews report that financial relationships affect professional behavior and that researchers are concerned about FTs and favor upfront disclosure. Our work builds on this literature by presenting data collected from disclosure recipients rather than “disclosers.” An understanding of these unique attitudes and effects is essential to the development of evidence-based policies and practices regarding disclosure of FTs. We systematically reviewed the evidence on the perspectives of patients, research participants, and users of published medical literature to answer 4 questions: (1) What impact does disclosure have on recipients' perceptions of the quality of biomedical research and clinical care? (2) How does the acceptability of FTs differ by type of relationship or payment? (3) What types of FTs are most important to disclose? (4) Does disclosure of FTs affect willingness to participate in research? Data sources included articles presenting original, quantitative data addressing attitudes toward physician and researcher FTs, attitudes toward the disclosure of such information, or the effect of disclosure on recipients' beliefs or behaviors. We searched MEDLINE for articles published from January 1, 1988, to September 30, 2009, that included specific Medical Subject Heading terms and free-text terms developed to represent the 4 concepts of our review: conflicts of interest and FTs, disclosers (eg, physicians and researchers), disclosure recipients (eg, patients, research participants, and journal readers), and disclosure effects (eg, patient attitudes and perceptions; for a complete list of search terms, see eTable 1. We searched the Web of Knowledge and Scopus databases using a similar strategy. These searches were supplemented by using Web of Knowledge to identify all references and citations of those articles identified in the primary searches previously described. A study was included if it met the following criteria: (1) stated purpose was to assess the attitudes and beliefs of disclosure recipients toward FTs (defined as any payments made or gifts given to a physician or researcher by a pharmaceutical, biotechnology, or medical device company, including those directly funding research studies) or the effect of disclosure of FTs on recipients' beliefs or behaviors; (2) contained a section describing methods; (3) published after 1987; (4) written in English; and (5) research article that presented original, quantitative data. Two of us (E.B. and A.L.) reviewed 6561 citations identified from MEDLINE (n = 1996), Scopus (n = 1644), and Web of Knowledge (n = 2921). Of these, 214 studies (3.3%) were identified as potentially eligible. An additional 30 studies were identified by using Web of Knowledge to review the citations and references of the original 214 studies. The abstracts of these 244 studies were reviewed by 2 of us (C.G. and A.L. ); of these, 20 studies (8.2%) met inclusion criteria (Figure). Two investigators (A.L. and E.B.) extracted study characteristics, including type of study, eligibility criteria, study population, sample size (and response rate when appropriate), type of FT described or disclosed, and the manner in which the FT was disclosed or described to participants. We extracted data concerning the percentage of participants who found each FT unacceptable and the distribution of responses regarding importance of disclosure and willingness to participate after disclosure, as well as any other reported effects of disclosure (eg, perceived quality of research). These outcomes were specified before data extraction. When response distributions were not reported, we requested them from the study's authors. Data were synthesized qualitatively, owing to the heterogeneity of the included studies. Studies were grouped according to domain. The FTs were considered by nature of recipient (ie, physician, researcher, or institution) and type of FT (eg, equity ownership, consulting fee, or royalty payment). We display the percentage of respondents who believe FTs decrease the quality of clinical care or research evidence, are unacceptable, and are important to disclose. We also report the percentage of respondents who would be less willing to participate in research after receiving a disclosure. Methodological quality was evaluated according to the method of Glaser and Bero33 (articles that received a score of 3 or more were considered to be of moderate quality; eTable 2. Eleven studies (10 were of moderate quality or higher) examined the impact of FTs on recipient assessments of quality34-44 (Table 1). Overall, many patients believed that FTs decrease the quality of care and affect prescribing behavior and that disclosure of FTs may decrease the perceived quality of published evidence. Five studies (3 were of moderate quality or higher) addressed patients' attitudes toward physicians' FTs34,36-38,45 (Table 2). These studies suggest that patients find gifts to physicians to be less acceptable when the gifts are large and when they are of a personal, rather than professional, nature. Three studies (all were of moderate quality or higher) considered patients' views of the acceptability of FTs in research.46-48 A 1995 survey of 200 general medical patients in an outpatient clinic reported that 56% found a per capita fee for enrolling patients to be unacceptable (compared with 64% of physicians; P < .005).47 The remaining 2 studies examined concern about researcher FTs from the point of view of research participants currently involved in cancer trials.46,48 A 2006 survey of cancer trial participants found that researcher equity ownership was most often judged unacceptable (27% of patients), followed by patent royalties (23%) and speaking and consulting (13% each). In the same study, when asked about institutional FTs, 34% of respondents believed equity ownership should be prohibited, whereas fewer thought per capita payments (17%) and patent royalties (21%) should be prohibited.48 Gray et al46 reported that 44% of participants “should be concerned” by researcher FTs when presented with a dichotomous choice, whereas Hampson et al48 reported that 7% of participants were “worried” by researcher FTs when presented with a 4-point scale (“very worried” to “not worried at all”). No studies assessed the impact of physician FT disclosure on patients' willingness to receive clinical care. Seven articles (6 of moderate quality or higher) addressed the impact of researcher FT disclosure on willingness to participate in research46,48,49,51-54(Table 4). For some research participants, disclosure of FTs affects willingness to participate. Three studies reported that prospective research participants were least willing to participate in a hypothetical clinical trial when researcher equity ownership was disclosed.49,51,52 Of note, participants also reported less trust in researchers after disclosure of FTs. Nevertheless, disclosure of other details about the hypothetical clinical trial (eg, risks and benefits) had more effect on willingness to participate than did disclosure of FTs.51,52 A 2006 survey of 253 current research participants reported that participants were least willing to participate after disclosure of researcher royalty payments (14% unwilling). When institutional FTs were considered, respondents were least willing to participate after a disclosure of equity ownership.48 Comparisons among these 4 studies in terms of willingness to participate are difficult because the patient populations ranged from outpatients with chronic diseases to patients with cancer enrolled in clinical trials.48,49,51,52 Disclosure of FTs appeared to have the least effect on current research participants compared with its effect on respondents who were not currently enrolled in research. Finally, a 2007 study compared the response rates of a survey that disclosed industry funding to that of an identical survey without a disclosure.54 There was no significant difference between response rates in the 2 groups (76% vs 70%; P = .29). These attitudes and effects are particularly relevant today as the nation increasingly relies on disclosure as a response to financial conflicts of interest. Under the Physician Payments Sunshine Act of 2009, companies would be required to publicly report virtually any payment they made to a physician.27 Recently, the Institute of Medicine recommended a broad national reporting system that would require drug, device, and biotechnology companies to publicly report payments to physicians and other prescribers, researchers, and institutions. In a minority Institute of Medicine report, a broader model was proposed, wherein individual academic physicians and researchers would make public those FTs they disclose to their institutions.28 Such a national reporting program would greatly increase the number of “consumers” of disclosed information, including populations represented by the subjects of this review. Our findings suggest a number of recommendations that should be considered as public disclosure systems are designed and implemented. Second, we find that, across multiple studies, patients and research participants are able to distinguish between different types of FTs as well as the relative importance of disclosure of each. Public reporting systems should be designed to maximize consumer understanding, with an emphasis on clear and straightforward presentation of those FTs that stakeholders care most about. The Institute of Medicine recommends that national organizations “should convene a broad-based consensus development process to establish a standard content . . . [and format] . . . for the disclosure of financial relationships with industry.”28(p92) A similar recommendation for uniform reporting in biomedical journals was recently made.57 Any public disclosure system should emphasize those FTs that consumers want disclosed, without creating an unnecessary burden for those viewing or updating these databases. These preferences may inform the order in which FTs are presented in a database, as well as the content needed to describe each relationship. Third, information on FTs disclosed in public databases should be incorporated into researcher-participant and provider-patient discussions. When asked, patients prefer disclosure through conversations with their provider rather than written communications.39 This review suggests that most patients are still willing to participate in research after the disclosure of researcher FTs. Although some participants may have less trust in researchers who disclose certain FTs, for others, trust may increase.52,58,59 In clinical care, when physicians disclose information about financial incentives in their managed care plans, there is evidence that trust is unaffected or may even increase.60,61 Accordingly, disclosure of FTs with industry might strengthen their relationship with their provider. This review also highlights directions for future research. 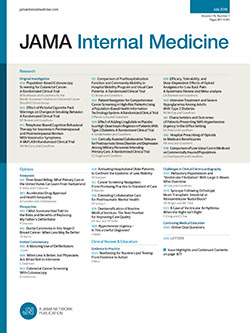 For instance, only 2 studies considered FTs in clinical care other than gifts to physicians.39,45 One study assessed the impact of disclosure on patient decision-making.39 Because public reporting systems will reveal nearly all physician FTs in care and research, further high-quality studies should be conducted to assess patient attitudes in each setting. None of the studies included an educational intervention to describe the nature or consequences of physician or researcher FTs to participants. As previous qualitative work has revealed great variability in a patient's ability to understand the implications of FTs, patient attitudes may be affected by information on the risks associated with financial conflicts of interest.58 Finally, this review highlights general categories of FTs that consumers believe should be disclosed, although little is known about the impact of different ways of presenting that information. This review has several limitations. First, despite an exhaustive search of the biomedical literature, we located only 20 eligible studies. This yield reflects the relative specificity of our criteria and the dearth of studies considering the recipients' views on disclosure. Second, because of the heterogeneity of the included studies' data collection and outcome measures, it was not possible to perform a quantitative synthesis of the data. As the included studies often posed slightly different questions to different populations, an aggregate analysis would likely misrepresent the underlying data. As further studies are conducted in a more standardized manner, quantitative analysis may soon be possible. Disclosure of FTs in clinical care and research has become a central strategy in the management of conflicts of interest, particularly as public reporting systems are implemented. This review indicates that disclosure recipients—patients, research participants, and physicians evaluating evidence—want FTs to be disclosed and are able to discriminate between different types of ties. Nevertheless, these disclosures appear to have a limited effect on behavioral outcomes, such as willingness to participate in research. As information on physician and researcher FTs becomes more publicly available, further research is needed to explore the optimal format for widespread consumer use and the effect on patient decision-making in clinical care and research. Correspondence: Cary Gross, MD, Section of General Internal Medicine, Yale School of Medicine, PO Box 208025, New Haven, CT 06520-8025 (cary.gross@yale.edu). Accepted for Publication: December 18, 2009. Author Contributions: All authors had full access to all the data and take responsibility for the integrity and accuracy of the data analyses. Study concept and design: Licurse, Joffe, and Gross. Acquisition of data: Licurse and Barber. Analysis and interpretation of data: Licurse, Joffe, and Gross. Drafting of the manuscript: Licurse. Critical revision of the manuscript for important intellectual content: Licurse, Barber, Joffe, and Gross. Administrative, technical, and material support: Licurse and Barber. Study supervision: Gross. Financial Disclosure: Dr Joffe served as a paid member of a Data and Safety Monitoring Committee for a Genzyme Corporation clinical trial. Dr Gross has served as an expert witness. Funding/Support: This study was supported by a Doris Duke Clinical Research Fellowship (Mr Licurse). Additional Contributions: Barbara Mullan, PhD, Robyn Goodwin, BPsych, Gregory Guagnano, PhD, Sara Schroter, PhD, Kevin Weinfurt, PhD, Joelle Friedman, MPA, and Jeremy Sugarman, MD, MPH, MA, provided the unpublished data included in this review.